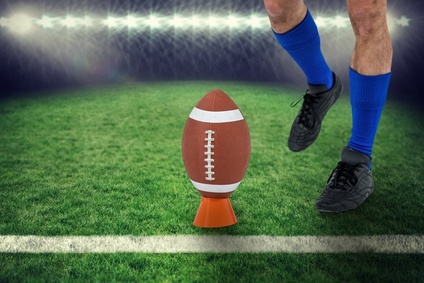 “Turf toe” is not a term you might be familiar with, but if you (or your kiddo) spend time on the gridiron this fall, you may become closely acquainted with the symptoms. We treat a fair amount of turf toe here at Texas Orthopedics this time of year. Turf toe is a sprain of the main joint (metatarsophalangeal joint or MTP joint) of the big toe. It’s typically the result of the forefoot grinding against the ground (or turf) while the heel is raised, forcing the toe into a hyperextension (or an unnaturally bent position). This injury mostly occurs in football where artificial turf is used because it’s a much harder surface than natural grass. But it can also happen from playing other field sports such as soccer, lacrosse- and even basketball. In most cases, the injury is effectively treated with the RICE protocol: rest, ice, compression, and elevation. 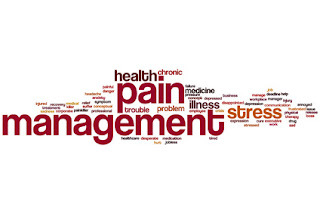 Anti-inflammatory medications can also help alleviate pain. Sufficient rest and not rushing back to play are key to healing turf toe. In severe cases, surgery may be necessary to repair the damaged joint and surrounding ligaments. If you are suffering symptoms of turf toe and would like to make an appointment with one of our foot and ankle specialists, please contact us here. The secret to sleek, sculpted arms and taught, toned thighs could very well lie in your…core. 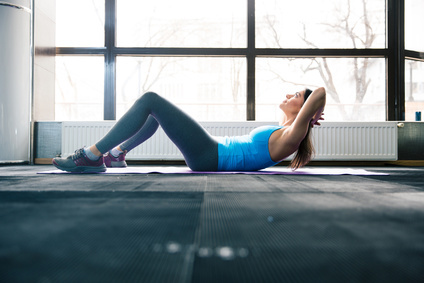 Fitness and medical experts agree that a strong core provides you the foundation to effectively spot train all other parts of your body while also protecting you from many common aches/pains (like lower back and hip pain) and injuries. Surprising, a weak core could result in broken bones or fractures because of poor balance. 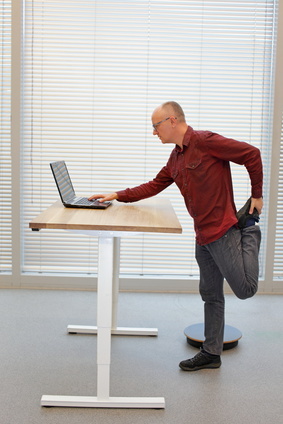 It could also result in sprains and strains from extremities having to work too hard. But to properly strengthen the core, you must first understand where it lies. Most people commonly associate the core with just the basic abdominal muscles to the front of your torso. In reality, it’s so much more. Your core is shaped like a box or cube extending from the front abs and diaphragm to the lower back muscles then down to your glutes, pelvic floor, and hip muscles. Many athletic trainers and physical therapists start with core exercises when designing workouts. Once the core is warmed up, proper movement and form can then naturally flow through your other limbs and out to the extremities. A good core workout will also engage not only your abs, but your back muscles and hips as well. If you have concerns about a weak core, or persistent back or hip pain as a result, please contact us for an appointment with one of our specialists or physical therapists. Every 11 seconds an older adult (over the age of 65) is treated in the ER for a fall. Sadly, every 19 minutes someone in that same demographic dies according to the CDC (Centers for Disease Control and Prevention). The country’s tenth annual Fall Prevention Awareness Day is this week on September 22, organized by the National Council on Aging. While many falls are truly unavoidable, many more can actually be prevented. By having strong bones, and healthy, flexible joints, your body will be better equipped to deal with the consequences of a serious fall. Typical injuries resulting from a fall include broken bones and fractures, sprains/strains, and concussions. One way to help strengthen the body and improve balance (to help you from toppling over in the first place!) is tai chi. Tai chi is an ancient form of Chinese martial arts that uses graceful movements to center both the mind and the body’s core. 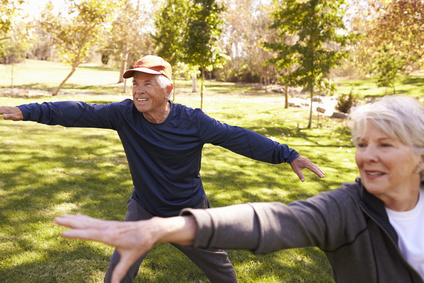 A recent study in The Journal of the American Geriatric Society showed that tai chi reduced the rate of falls in participants who practiced it for less than a year by up to 43 percent. Tai chi, and any exercise that involves gentle stretching and light movement, can also improve cardiovascular health and combat joint inflammation. Personalized physical therapy can also to help you feel more sure and confident on your feet, while giving you the skills to bounce back quicker when faced with an injury. 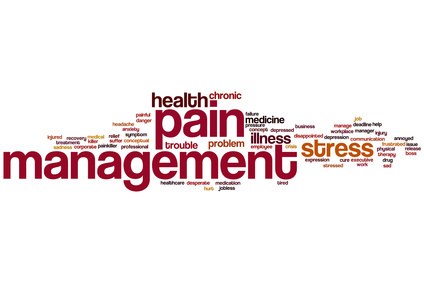 To make an appointment with one of our physical therapy specialists, please contact us here. Milk sure does a body good. Especially a growing body. 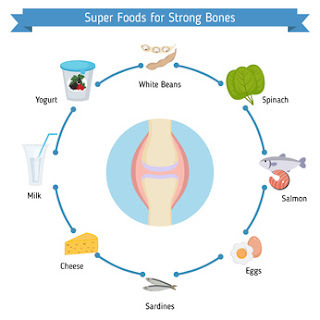 It packs calcium, Vitamin D, and tons of other nutrients essential for healthy bones. But is milk during the early years enough to ensure strong bones through adolescence and into adulthood? Skeletal development isn’t truly complete until your 20s, so it’s important to nourish bones well beyond the young childhood years. Scientific research continues to show that the healthier you are early in life, the better off you’ll be later on. 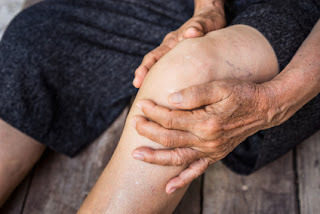 Building strong bones when you’re young can help prevent serious issues as you age, like osteoporosis—a severe weakening of the bones – which can lead to painful breaks and fractures. While milk and other dairy products are the obvious choice for building bones, many children today have food sensitivities, like dairy intolerance. Calcium supplements are generally not advised for kids due to their typically high sugar content. 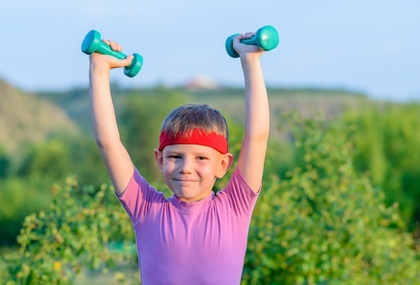 If you have questions about calcium intake for your child or teen, or have concerns about their bone health, please contact us for an appointment.